Dear Friends: My mother’s estate has wrapped up and her house has been sold, so I’m disposing of her furniture and possessions. And that means dragging home no fewer than 25 cardboard cartons filled with photographs, letters, china, books, and keepsakes. In a box of old knitting patterns, I found this original! She knit this sweater for me about thirty years ago, and I’m still wearing it. 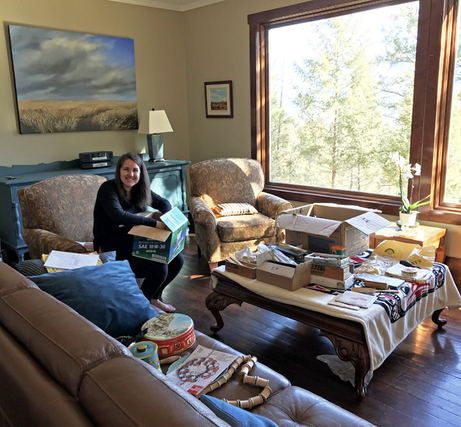 I know that many of you have experienced the sweet sorrow of sorting through your loved one’s belongings. I have now whittled the collection down to ten boxes that I will lovingly store for the next generation. There are hundreds of items I could share with you, but I’ve selected ten weird and wonderful things that we unearthed. 1. 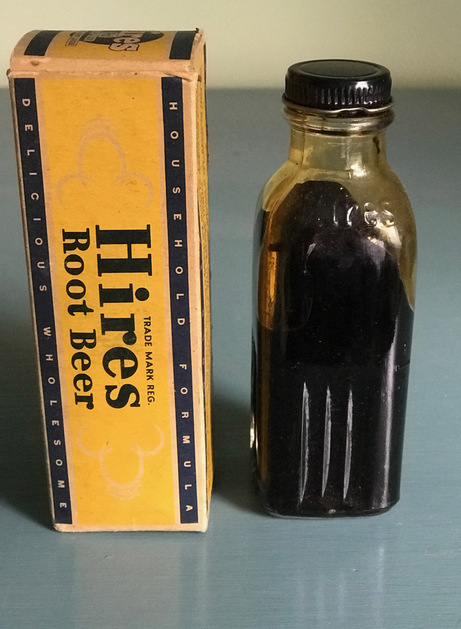 A bottle of Hires root beer, in the original box, dated 1929. 2. 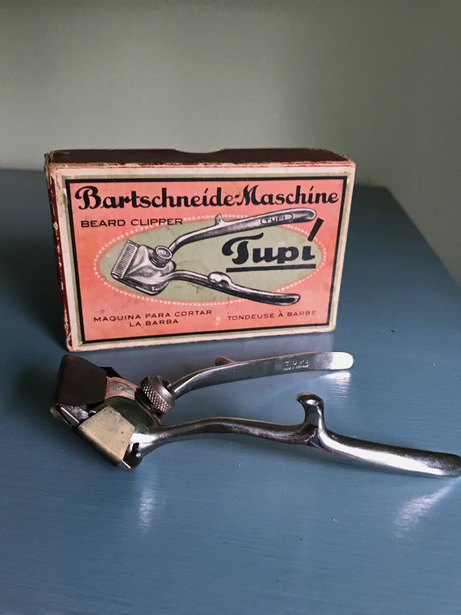 A German-made beard trimmer, in the original box. I don’t remember any males in our family sporting beards, but perhaps she was thinking ahead when she saved this. 3. Hundreds of letters and postcards, perhaps thousands. 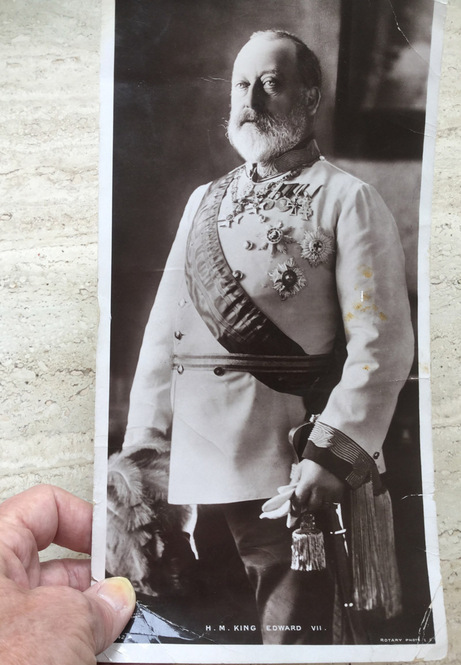 This oversized postcard of King Edward VII belonged to her godfather Colin Greener, who was also my own godfather. 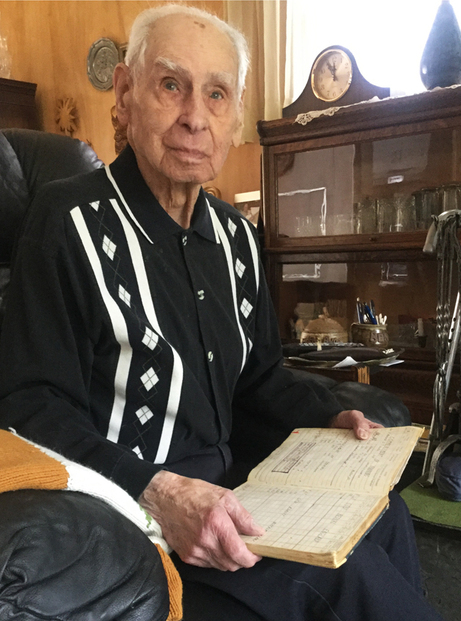 Colin emigrated from England to Saskatchewan at the age of sixteen! 4. 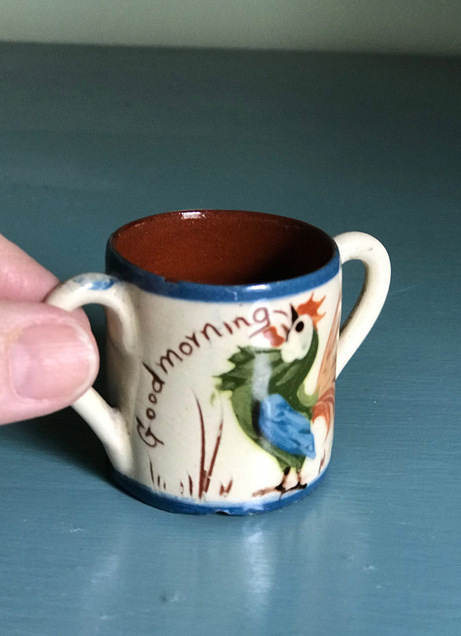 A baby cup from Torquay, England. 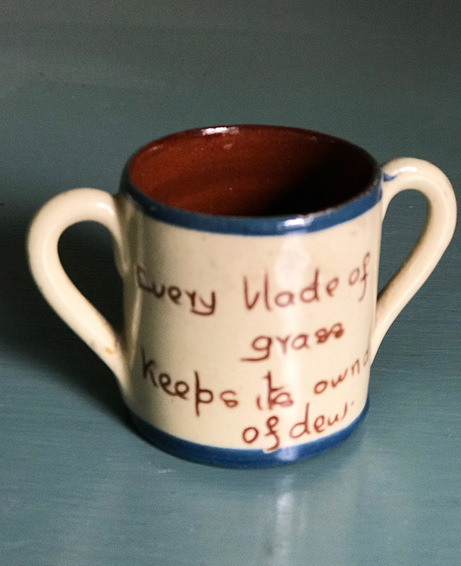 Colin also gave my mother this baby's cup from Torquay in Devonshire, England, which sparked an extensive collection. Over the years we all gave her pieces of Torquay mottoware (so called because it features folksy sayings) that we found in antique stores. The collection was divided among family members, each taking a piece to remember her by. 5. 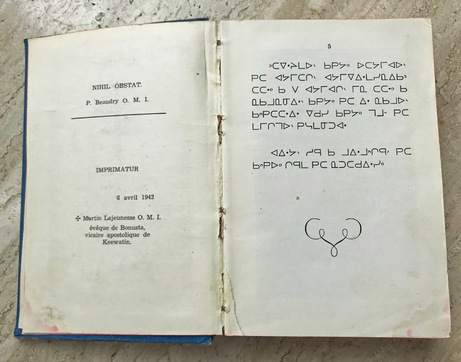 A Cree hymn book, dated 1942. 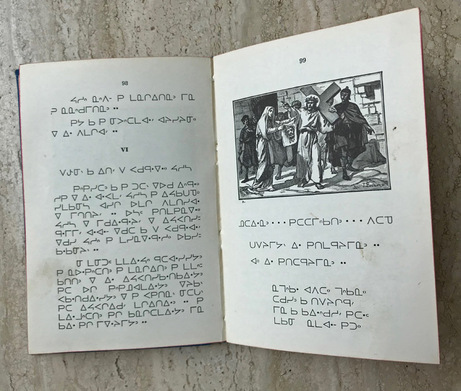 I believe this small book with a plain blue cover must be written in Cree syllabics. I have no idea how my mother ended up with this. The name on the left page is Martin Lajeunesse, who was a Roman Catholic missionary in the district of Keewatin, covering northern Saskatchewan and Manitoba. The book was published in 1942 by Editions de la Liberté. The first four pages are missing. 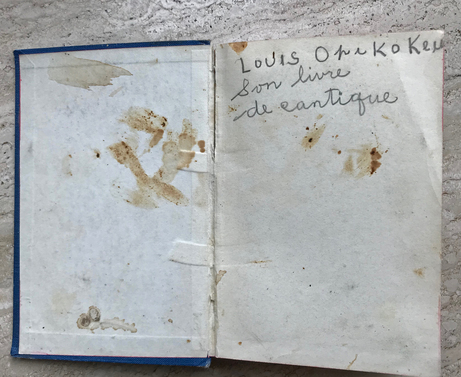 Best of all, the book's owner wrote his name inside the front cover! 6. Ten Life magazines with interesting covers. 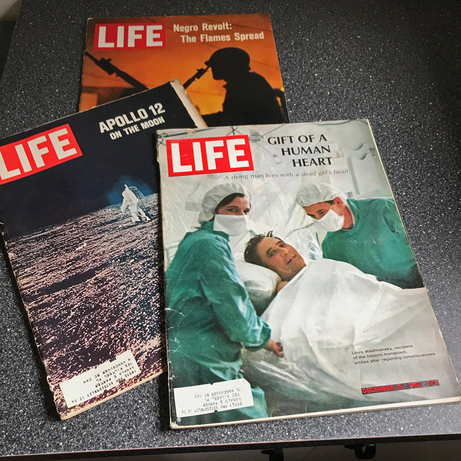 These three covers feature racial unrest, Apollo 12 on the moon, and the first human heart transplant. What a great magazine that was! 7. An assortment of June's hand-painted porcelain art. One of my mother’s talents was painting pieces of white porcelain with floral designs, and firing them in her kiln. Many family members and friends have samples of her lovely work. 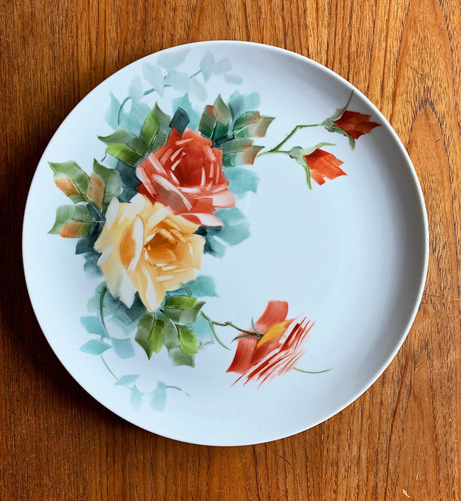 Since roses were her signature flower (as in June roses), this decorative plate is one of my favourites. You can see her tiny signature under the stem. 8. My grandmother's wedding hat. 9. My grandfather's oak writing desk. Our family saved a few pieces of my mother's furniture that were especially meaningful. 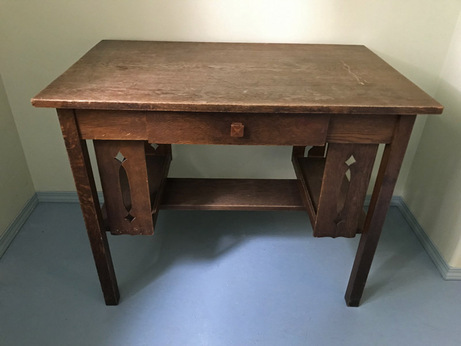 This old oak desk belonged to her father, my grandfather Charles Light. I remember him writing letters here at his home in Battleford, Saskatchewan. Decades later, I wrote my wartime novel Bird’s Eye View at this desk! 10. Hundreds of sheets of piano music. My mother learned to play the piano during the Second World War, when she was a teenager. She rightly deduced that anyone who could play the piano would never be a wallflower, and always in demand at parties! 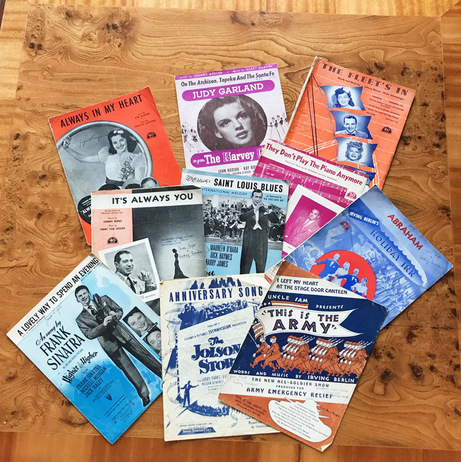 She collected hundreds of pieces of sheet music. June played the piano every day, almost up to the time of her death. One of my favourite memories is the way she “played us to sleep” as children, by sitting down at the piano and playing soft lullabies. 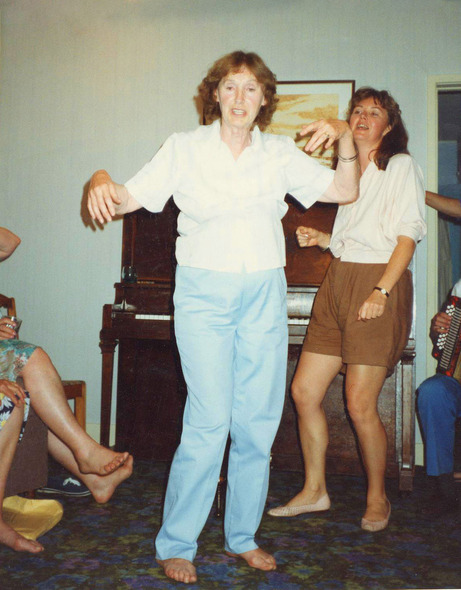 And this is how I will remember my mother – young and beautiful, singing and dancing, always the life of the party. I doubt if she is resting in peace – more likely she is tickling the ivories in heaven! 1. 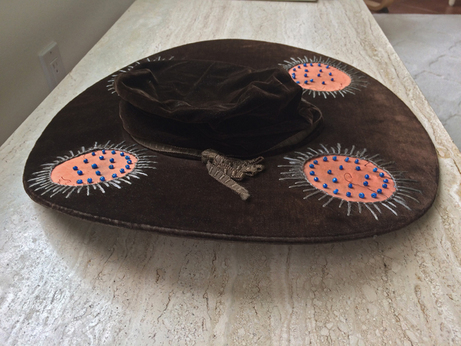 Elizabeth Cutler's artwork discovered. In 2016 I wrote a post about a talented illustrator for the Toronto Star Weekly, named Elizabeth Cutler. She lived with her mother in New York, never married and had no children. 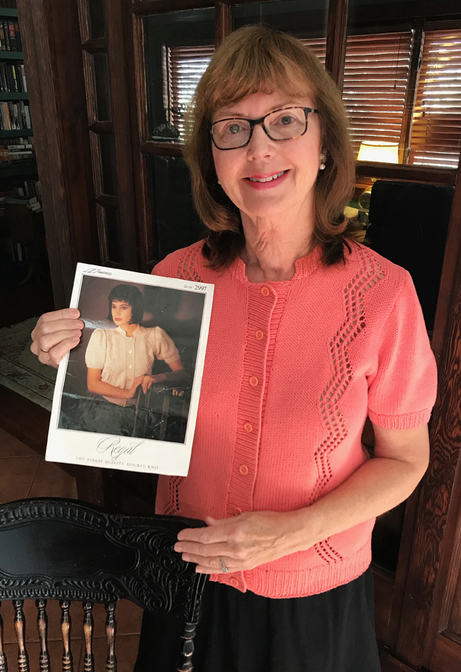 Her great-niece Sheree Meyer from Florida contacted me to ask whether I knew how to find some of Elizabeth's original work, and I wound up writing a whole post about her. 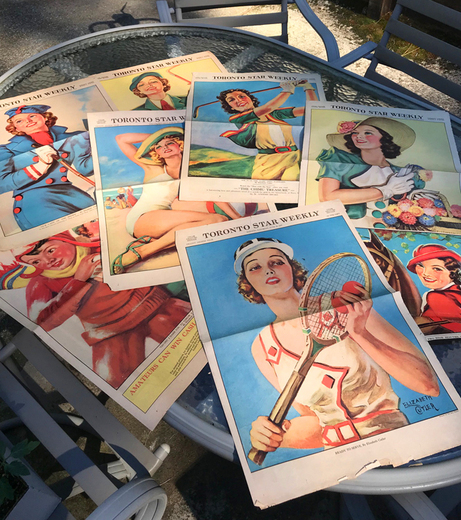 Recently I received an email from Sheree saying that a veritable treasure trove of her great-aunt’s work had been located! An estate agent in Oregon, who was liquidating an estate for a very distant relative of Sheree, stumbled across my blog. She wrote to Sheree offering to send her an entire collection of Elizabeth's work, free of charge. A delighted Sheree received not only the Star Weekly covers as shown, but a whack of original oil paintings as well! Read the original post by clicking here: Elizabeth Cutler. 2. This Canadian veteran is American. Last month I had another fascinating email from a woman named Joyce Campbell-Layman of Las Cruces, New Mexico, who ran across my blog online. I telephoned her, and we had a great chat. 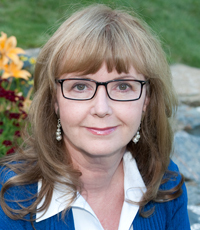 Briefly, Joyce is an American who served in the Canadian Women’s Army Corps. 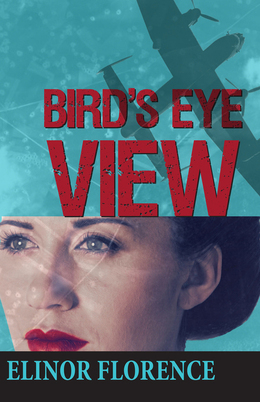 She thinks she might be the youngest surviving wartime veteran of the Canadian forces since she lied about her age and joined up in Windsor, Ontario at the age of fourteen! 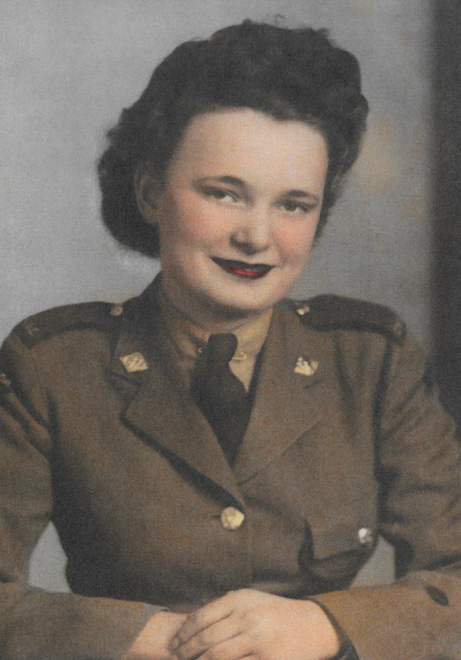 Joyce did her basic training in Kitchener, her advanced training in Saskatoon (where she lived in the old horse barn at the Exhibition Grounds), and was then posted to Vancouver, where she did clerical work for Pacific Command. With my encouragement, Joyce is writing her own story, and I look forward to reading it! 3. Ben Scaman tells his story on the record. Just before Christmas, I heard from amateur historian Mark Salt, who was researching the history of RAF Peterhead, north of Aberdeen in Scotland. He wrote: “Our records indicate that Supermarine Spitfire EP172 crashed on 18 April 1943 during a gun camera exercise near Newton, Aberdeenshire into soft ground of a farm and that the aircraft flipped on to its back killing the pilot, Sgt. B. R. Scaman, RCAF.” He asked if I had any further information. Ordinarily this question would be far outside my scope, but I was thrilled to tell Mark Salt that reports of Ben's death were greatly exaggerated, since he is still living in Calgary! And for the record, his daughter videotaped Ben’s description of the accident. This is my photo of Ben with his logbook. He has a very good memory of all his exploits. You may read his story by clicking here: Ben Scaman, Doodlebug Destroyer. And with that, dear friends, I will return to my sorting. I hope to have this sad task completed by the end of the month, when we can hopefully begin to enjoy warmer weather. Here in Invermere on April 13, 2019, it is still only 5 degrees Celsius with a bitter breeze howling down the mountainside. P.S. 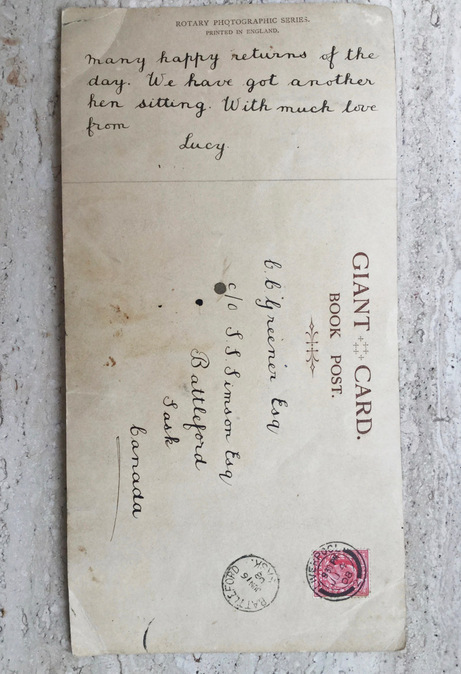 As usual, please recommend my Letters From Windermere to anyone who might be interested. Thank you. Welcome to Letters From Windermere, a collection of news, notes, and nostalgia. You may also read my previous wartime stories by checking the index below. Enter your email address and my newsletter will be sent sent straight to your inbox. I won't share your address with anyone else!